Enjoy the best of what South Tampa has to offer! The Madison at SoHo is walking distance to tons of great dining entertainment and night life! This beautifully updated 2nd floor unit boasts high ceilings and a split floorplan which offers comfortable living space. Close to $10000 in appliance upgrades installed just over a year ago: NEW AC WASHER/DRYER & STAINLESS STEEL APPLIANCES! Both bedrooms have walk-in closets with custom built-ins and each bedroom has it’s own bathroom. The kitchen showcases granite countertops a breakfast bar stainless steel appliances and a gorgeous glass tile backsplash. Wood floors run through the master bedroom as well as the open living room & dining room. There is an in-unit laundry room with a new washer & dryer included. Enjoy a cup of coffee while watching the sunrise on the private balcony. There are TWO assigned parking spots as well as a private storage room on the 3rd floor. 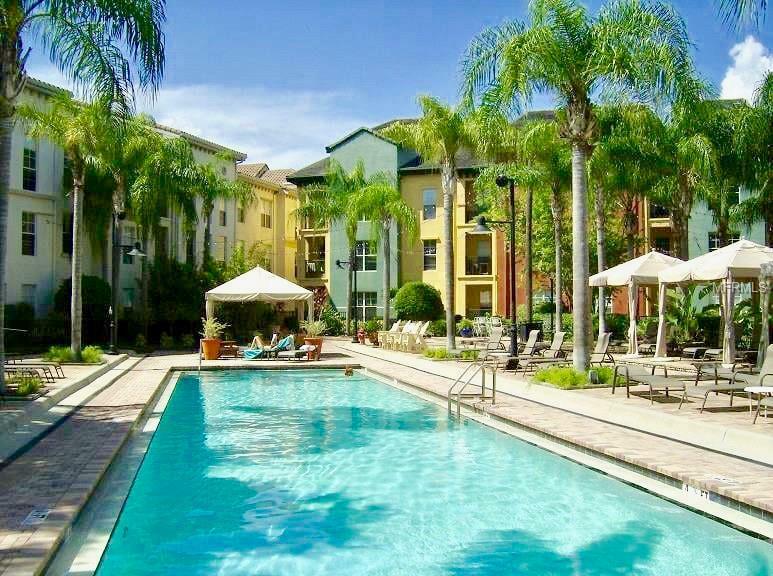 Enjoy the amenities of this gated community complete with a pool and heated spa pool-side cabanas and a grilling station for outdoor cooking and entertainment! Don’t let this one get away!